56 percent of companies use Google Analytics – Do you? As content marketing continues to mature, companies are turning to Google Analytics for reports about their campaigns. According to Econsultancy, 56 percent of brands exclusively rely on the search engine for content analytics in 2013, up from 47 percent last year. Detailed metrics are crucial to internet marketing success because they turn intangibles like clicks and Likes into data that can guide strategies. The Econsultancy report found traffic measurements and conversion KPIs were the No. 1 reason why 86 percent of companies use Google Analytics. Campaign tracking was a reason named nearly as often by 75 percent of surveyed brands. 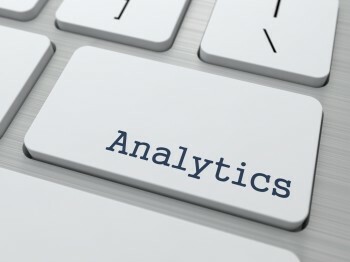 Businesses are also turning to content analytics to evaluate user experience. Nearly 60 percent evaluate their sites’ page flow and analyze navigation, while 40 percent look for data about content influence. Bounce rates, clickthroughs and exist rates will only rise in importance as SEO gives way to SXO (search experience optimization) to ensure consumers consistently receive relevant information online. 56 percent of brands rely exclusively on Google for content analytics in 2013, up from 47 percent last year. However, the study also found some companies are missing out on the aforementioned insights. Thirty-five percent said they don’t use Google Analytics because their internal processes are not sophisticated enough and 10 percent haven’t gotten around to it. These reasons are no longer enough to justify a company’s choice to opt out of web marketing measurement. If brands are online, they’re sophisticated enough to track campaign performance and create data-driven keyword strategies. Brafton recently reported on a study that found analytics help companies identify their most valuable customers and determine their referral pathways. For B2Cs, organic search traffic yields consumers who have the highest Customer Lifetime Value (CLV), meaning they generate the most revenue throughout their relationship with the company. Using analytics, marketers can determine which types of branded content bring the most people to pages and create stronger strategies for the future.